Visit London's partner BAA is among bodies to lobby secretary of state for business, innovation and skills Vince Cable over spending cuts that will affect the organisation. Visit London’s future funding is uncertain after the Government announced last month the London Development Agency’s £480m settlement would be axed, a step further than original plans to merge it into the Greater London Authority. The LDA funds Visit London with £11.7m a year. Other support comes from commercial partners, which include BAA and businesses such as Excel London and Eurostar. BAA’s director of aviation policy and political relations Nigel Milton is among business leaders to write to Vince Cable this week, arguing that unless funding is found for Visit London the capital’s economy will be hit. The letter was put together by business organisation London First, and included support for Visit London, Think London and Study London. The letter to Cable stated: "We are extremely concerned that there does not appear to be any direct funding of London's economic development from the spending review, and would like reassurances that the Government, collectively, will rectify this urgently. "At this critical time of fragile economic recovery and with the Olympic Games less than two years away, it is vital to the London and UK economy that momentum is not lost." Meanwhile, Mayor of London Boris Johnson has pledged to fight for funding for the capital from the Treasury. Visit London told C&IT that no specific deadline had been set for the Mayor’s office to confirm where funding would come from. However, the body’s director of business tourism Tracy Halliwell said she was "looking into all funding options which might be available". "We appreciate all the support that the business tourism industry has shown so far," added Halliwell. 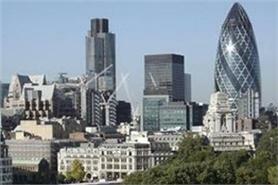 "Visit London is still continuing to support the Greater London Authority regarding their discussions with government. In the meantime Visit London is still 100% committed to supporting our partners and in delivering value to London’s economy through the promotion of London."